DividendMax»Company Coverage»Country:United States»Exchange:New York Stock Exchange»Sector:Electronic & Electrical Equipment»Company:International Business Machines Corp.
Information technology company, International Business Machines Corporation (IBM), is the worlds largest computer maker. IBM designs, develops and manufactures computer systems, software, storage systems and microelectronics. It is also the largest business and technology services provider and largest IT financier in the world. IBM Research also ranks as the world's largest information technology research organisation, with more than 3,000 scientists and engineers working from eight labs in six countries around the world. 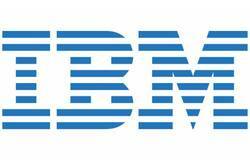 IBM, known as big blue, has a fabulous record of paying increased dividends to shareholders.